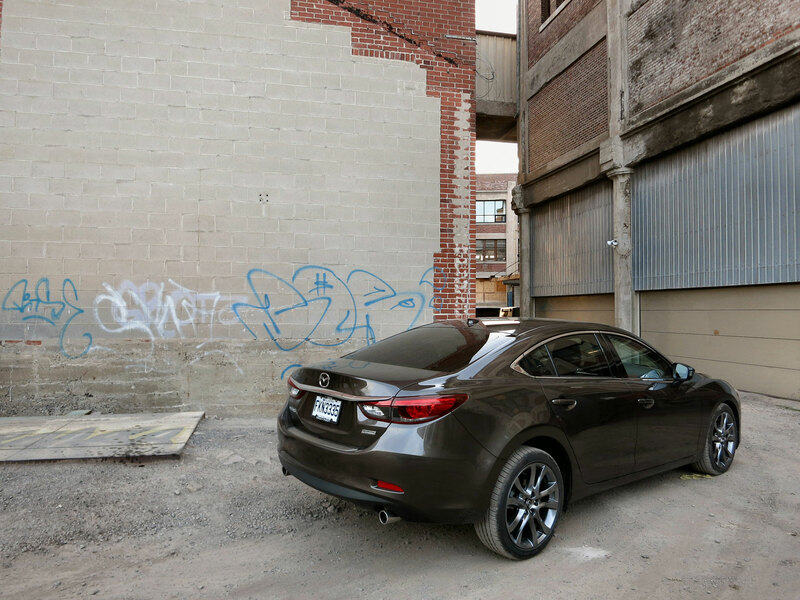 It’s not often a mid-sized sedan with a $30,000 price point can deliver a significant “wow” feeling upon first sitting inside but the 2016 Mazda6 comes as close as it possibly could. I’d be lying if I didn’t say there at least a little bit of “paf” which a local term that MontrealRacing.com members have created to describe that wow feeling when one sits in a vehicle for the first time. 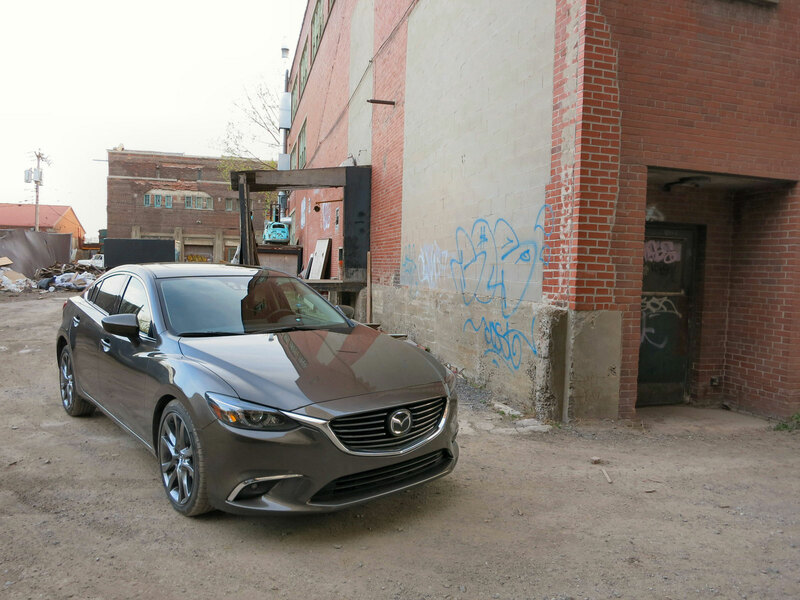 Sitting in the Mazda 6 immediately provided me with the sense of comfort and luxury I‘m accustomed to from much more expensive vehicles. This is despite the fact that I already have a higher than normal expectation level due to most press vehicles coming fully loaded with every available option. I didn’t expect there to be any difference between these leather seats and the leather seats in say, the Mazda3 but there was. The seats hug the body more and offer good lateral support. Other areas of the cockpit also impressed me such as the leather padding on the side of the console which was perfect to rest my knee on, the perfectly placed shifter that was pleasant to the touch and the steering wheel adorned with nice soft leather. 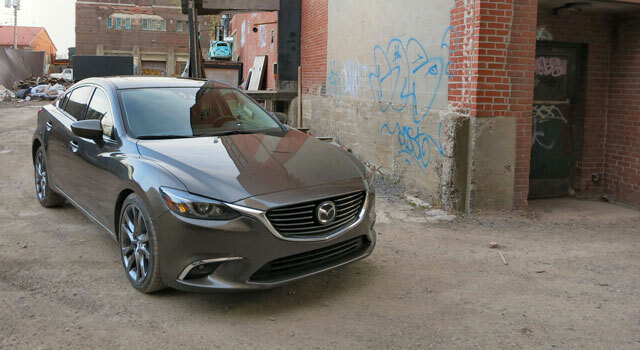 I can usually tell with a few seconds if I’m going to like a vehicle and I knew right away I was going to enjoy the Mazda6. You’d think in 2016, good ergonomics would be a foregone conclusion but I find some automakers still make bone-headed moves in terms of interior design such as hiding buttons in weird places, designing awkward interfaces or just plain making an uncomfortable driving position. The Mazda6 does not have any of these problems as everything was placed right where I expected it to be. 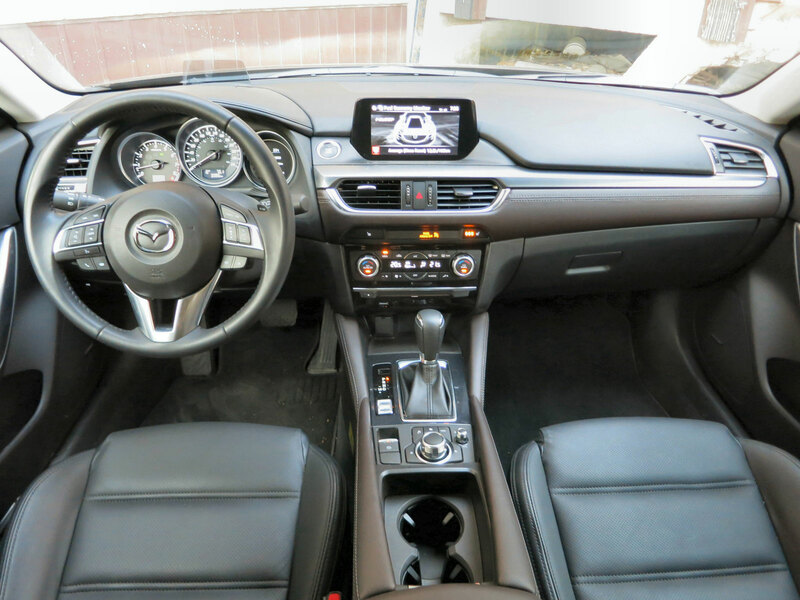 In fact, Mazda interiors are known to be among the very best in the industry in their respective classes. The push-button start is high up on the dash and in plain sight. The arm rest is at the proper level and I can reach all the controls without moving my elbow. The steering wheel telescopes to the perfect distance and can operate most of the vehicle’s critical functions. I say most because there is one button missing on the wheel-mounted audio controls and that is the source button. Every system should allow the driver to switch audio sources (AM/FM/XM/Bluetooth etc) but unfortunately Mazda doesn’t offer this. Mazda’s HMI Commander interface is one of my favorites among the different manufacturers. The rotary dial on the center console is so easy to use and barring that, you can always just resort to the touch screen on the dash. The volume knob is near the cup holder where you’d normally find a hand brake lever which some may find odd but hold judgement until you try it because it’s my favorite feature. 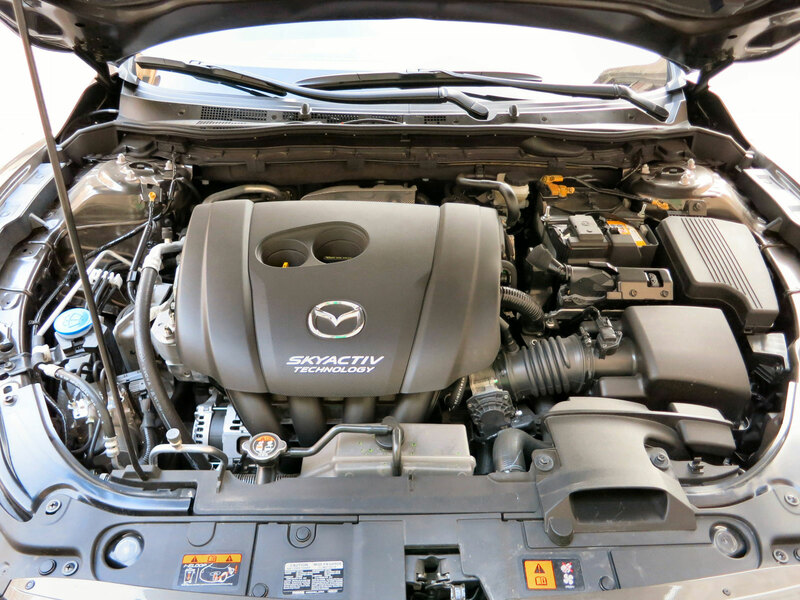 The Skyactiv-G 2.5-litre 4-cylinder motor under the hood is smooth and efficient in making its 184 horsepower and 185 lb-ft of torque. Acceleration is adequate, steering is responsive and precise and braking is excellent. A really cool feature available on the GT version with the technology package is Mazda’s regenerative braking system called i-ELOOP. The system harnesses the vehicle’s kinetic energy from braking and then re-uses it to power other systems like the headlights, climate, or audio systems while increasing fuel efficiency. The car is rated at 8.5/5.9 L/100km city/highway and I averaged 8.1L/100km. Additional features that come with the technology package are smart brake support, radar cruise control, lane departure warning, forward obstruction warning and high-beam control. The tech package is only available on the GT trim, however. GX is the base trim and starts at $24,695 before transport. Options are aplenty with 17” wheels, heated front seats, keyless entry, power locks and windows, A/C, electric parking brake, LED taillights and even the HMI Commander interface. If you want the automatic transmission it’ll run you $1300 extra. 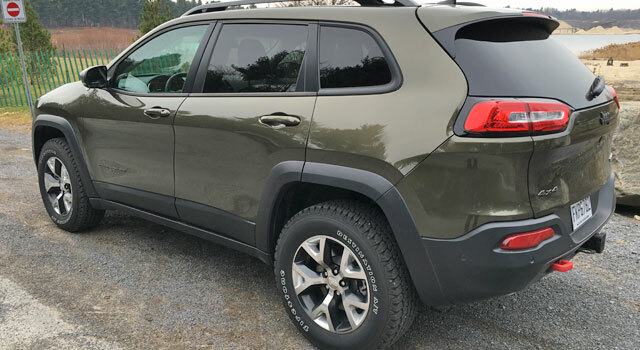 GS is the middle trim and adds dual-zone climate control, blind spot monitoring, rear cross traffic alert, a power adjustable driver’s seat, a leather steering wheel and leather shift knob with a price of $29,805. $3000 more gets you those awesome leather seats, a moonroof and navigation. GT is the best trim and adds 19”inch wheels, a Bose sound system, LED headlights, heads-up display and auto dimming mirrors. The afore-mentioned tech package is also unlocked. 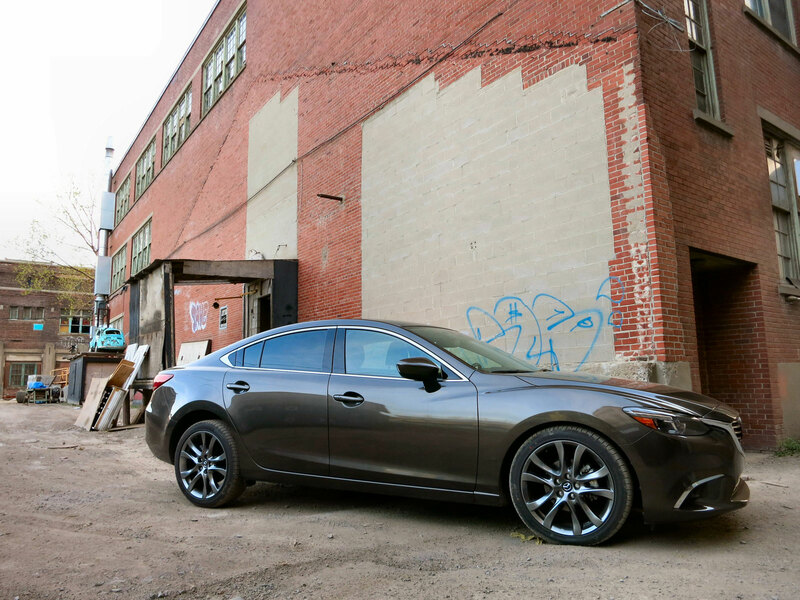 The Mazda6 value per dollar is impressive and gives it a leg up on the very long list of mid-sized sedans to compete with. 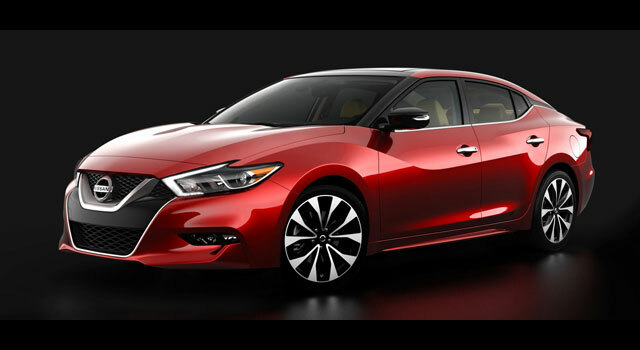 That list includes the Buick Regal, Chevrolet Malibu, Chrysler 200, Ford Fusion, Honda Accord, Hyundai Sonata, Kia Optima, Nissan Altima, Subaru Legacy, Toyota Camry and Volkswagen Passat. 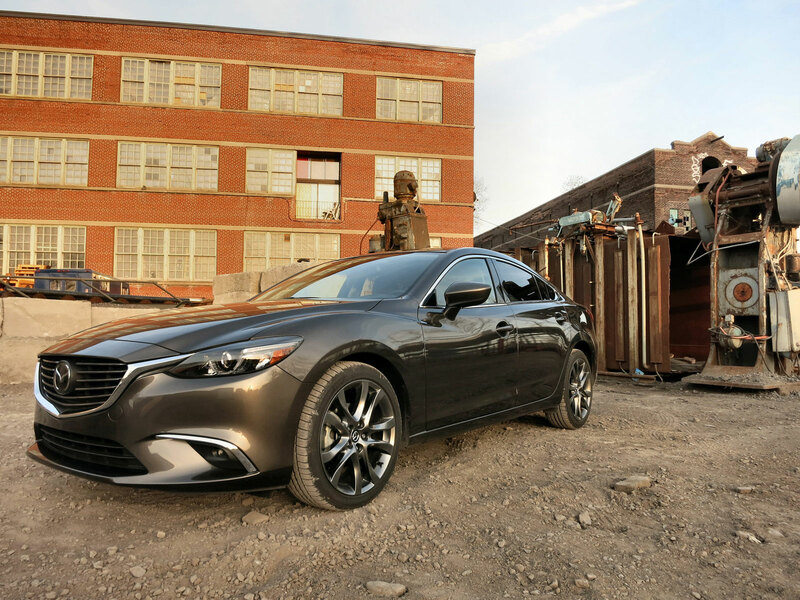 Our partners at Guide de l’Auto awarded it the title of best mid-size sedan for 2016 so my praise is shared. In my week with the car I travelled across the city of Montreal in rush hour traffic as well as up north to Mont Saint Sauveur, logging about 500 kilometers in total. Each time I re-entered the vehicle, I was met with the same sense of comfort and enjoyment. 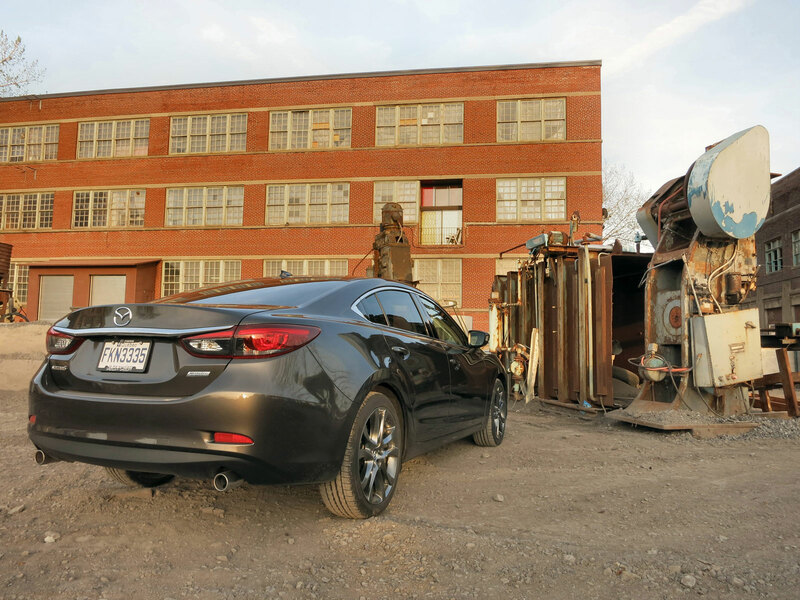 It was a pleasure to drive in every situation so I guess all that’s left to say is: well done Mazda. 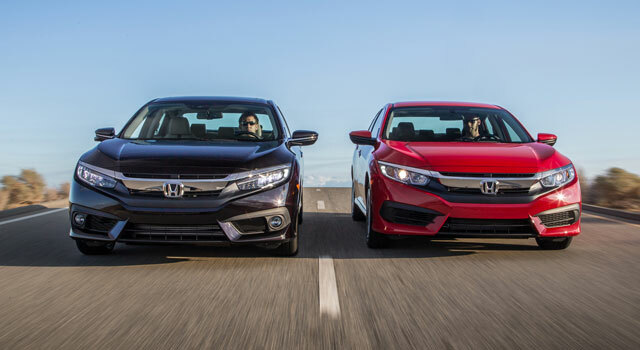 What Do You Think Of The New 2016 Honda Civic?